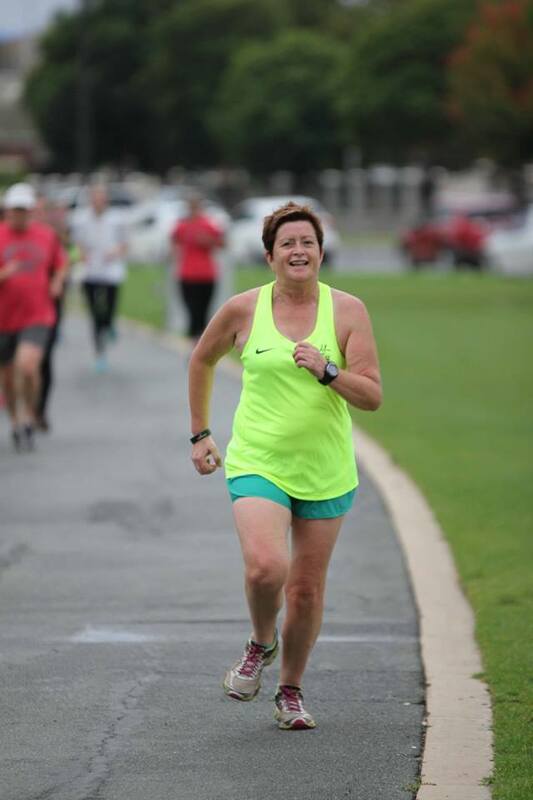 Special mention to Mairead MacDougall who achieved her 190th parkrun at Underwood Park, it was her 60th different parkrun, her 50th different Australian parkrun and most notably, she completed her alphabet parkrun tourism challenge! Well Done Mairead! Prizes, gift vouchers from Intersport. Thursday Feb 7 is our 40th birthday! We will have a pot luck night on after training, bring a pot of food along and come and celebrate with everyone and share some stories. The SRC 40th Facebook page will be launched as part of this event. Tuesday Feb 12 is our graded 3000m track races also at the athletics track, first race at 6:15pm and will also count towards our handicap results. July 13 SRC 40th Anniversary Gala Dinner. More information to come with online booking and a stand-alone Facebook page with all the information you need. All coming soon. Olympic triathlete Courtney Atkinson ran 8 of Australia’s best trails in 7 days, running for over 14 hours across a total of 137 kilometres, taking 12 flights, and spending 43 hours driving a total of 3556 kilometres! Find out more here at Red Bull. Good running form aligns all your joints optimally to create a smooth, efficient running gait. By doing certain dynamic stretches and strengthening exercises and remaining aware of your body movement while you run, you can avoid or address impediments to good running form. Check out these exercises that can help at Trail Runner. 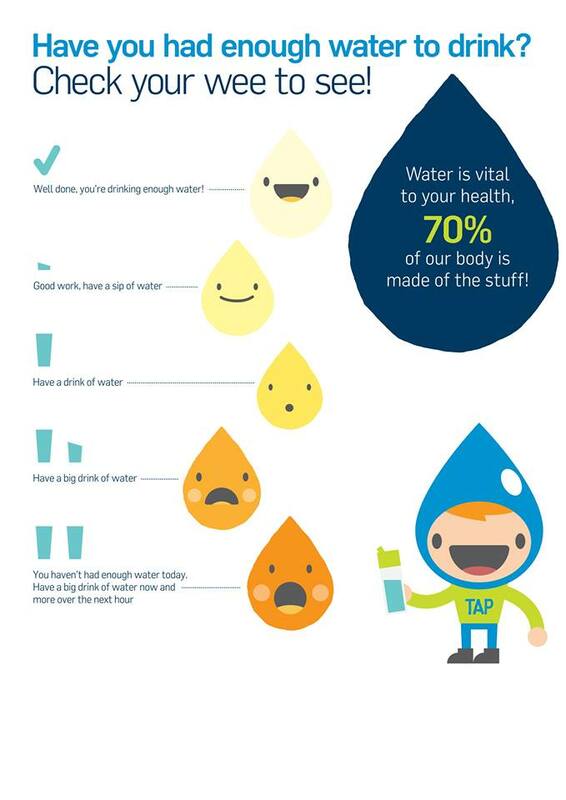 I will start with a safety message from Tara and our friends at Goulburn Vally Water, (aka the water factory). After some technical difficulties with the Shepparton Marathon being listed as a registered AIMS certified course, Kathy Fuller was able to use the Shepparton course and her time as a Boston Qualifier. Well done Kathy and good luck. Liam Edwards cycles in the big league. Liam Edwards is currently in New Zealand riding for National Road Series Team “AMR Renault Racing” on his first trip overseas. Liam takes on the five-day gruelling “New Zealand Cycle Classic” today (Wednesday) for the next five days. This race is raced as a UCI (Union Cycliste Internationale) 2.2 division race with Division 1 being the likes of Tour de France. Riders have come from across the world to content this hotly contested race which is New Zealand’s version of the “Jayco Sun Herald Tour”. Today was Stage 1 of the five Stage NZ Cycle Classic and Liam got 19th out of a field of 111 riders…he is very happy. Well done Liam, what a massive achievement. Be proud of your achievements as we all are. Keep up the good work. #1 | The Shepparton Runners Club is a great way to meet new people, new training partners, and new friends and create a team environment in what can be a lonely and individual pursuit. #2 | Our club consists of members aged from 1 to 70 with approximately equal males and females. Some of our members have just begun their running journey, while others have been running for 60 years. We run 52 weeks a year rain, hail or shine. Although, you’ll find some of our members are more dedicated than others! #3 | We have a wide range of runs to suit your needs – Training twice a week with fartlek, tempo and easy runs organised by our coach, Chris Armstrong. Otherwise catch up at Parkrun or a Sunday long run. Last Sunday Chris and Norah hosted Sam, Tara, & myself on a Sunday run in Numurkah. We ran along the river bank following the trail and this incorporated some road running as well. After the run, we all headed to the Mierlo for breakfast. Chris loaned me a book about the Melbourne Marathon called the wall. The history of the Melbourne Marathon 1978 – 2012. I will read it and take parts out for the newsletter. Their will be a test at the end of the year, so please study. I just hope I don’t fail. For the record, I did my first Big M Melbourne marathon in 1984 as a 21-year-old in a time of 3:38:00. How I wished I did more in my 20s. The course back then was from Frankston to the Melbourne art centre. The Wall. The history of the Melbourne Marathon 1978 – 2012. Steve Moneghetti’s first introduction to the Melbourne marathon was in 1979 as a spectator to watch the Ballarat Harriers run. Steve considered himself as a marathon groupie watching the Ballarat Harriers run the Melbourne marathon before getting involved a few years later. Monna regrets not doing Melbourne marathon in his prime as his first marathon was in 1986 at the Commonwealth Games in Edinburgh. This was where his marathon was the last minute decision after doing the 10,000 on the track. In 1993 Mona did the Melbourne marathon as a long training run. In a time of 2:46:47 half an hour behind the winner. One of the best things about Melbourn marathon according to Monna is that everyone has a story of the early days when it was the Big M whether it be the train trip down or the head win running. Mona is pleased that the Melbourne marathon numbers have passed the boom numbers of the 80s. In 2012 the race grew in status with Athletics Australia making it a world championship trial for Mosco. I remember reading about Deeks running the Victorian Marathon championship at point cook in 1979 and I am sure having the elite run beside you is motivation. Stay cool with these Berry swirl yoghurt pops. 1. Blend yoghurt, vanilla and half the icing sugar in a blender or food processor until combined. Transfer mixture to a jug. 2. Add berries and the remaining icing sugar to blender or food processor. Pour in 1 cup of the vanilla yoghurt mixture and process until smooth and combined. 3. One-third fill popsicle moulds with vanilla yoghurt mixture then top up moulds with berry mixture. 4. Run a skewer through mixture in each mould to create a swirled effect. 5. Place moulds in freezer for 1 hour then insert a popsicle stick in each one and return to freezer for several hours or overnight until frozen solid. 6. Remove popsicles from moulds just before serving. If popsicles are difficult to remove, wrap a warm damp cloth around moulds for a few seconds and they should slide out easily. Tip: Popsicle moulds are available in different shapes and sizes from department stores and specialty kitchen shops. Popsicle sticks are available from newsagents and craft shops. Have a great running week and Stay hydrated. Happy New Year to all. We hope you achieved all your running goals for 2018 and have set some new goals for 2019. We look forward to seeing everyone in the new year. Memberships are open for the 2019 Memberships. So what has happened while I was away? Today, Alex Yee ran the second fastest EVER! On the comeback trail from a traumatic injury (child birth) and setting some big running goals for 2019/20. And you know what? She has the heart and commitment to do it! We clocked up a double parkrun starting in Cobram or Euroa and finishing in Shepparton. This was followed by about 40 runners making their way to The Butter Factory for brunch. Thanks to Chelsea Nicholson for organising that. The alarm is set for 5am and despite getting in late from a work Christmas party Paul Graham and Katherine “Caddy” Oswin are preparing to drive the three hours from Melbourne to Wangaratta to complete their 55th different Victorian parkrun in just over a year. It seems a long way to go for a five-kilometre event lasting little more than 20 minutes, especially given the Richmond couple has a perfectly good parkrun just around the corner at Westerfolds. They’re chasing Victorian statesmanship. The full story here. Now you are updated – What’s next. We will be postponing the upcoming 3000m track race and moving it back to Tuesday February 12th due to the forecast 40 degree weather. We will still be training at the track next Tuesday and everyone is welcome to join in, we just won’t be racing. Ideally, we wouldn’t postpone but feel it’s more important to be conservative in the heat and try to look after one another. 40 Years of Shepparton Runners Club. On February 7th 1979 a group of runners met and officially created… the Shepparton Runners Club. To begin the year long celebration of the Clubs 40th Anniversary we will be holding a pot luck night after training on Thursday the 7th of February. Training will commence as usual at 6pm and then dinner should be ready to go at 7pm. So bring something yummy to share and join us to get the party started. All are welcome. With the introduction of our new online membership registration process, we have reached over 70 members and it’s not too late to sign up! This year we have made the move to have our members register online. This is to help make the process easier for returning members, as well as new members. Plus we have the added option of purchasing new apparel and show off the yellow and purple. Members are entitled to 10% off consultations at Lakeside Podiatry, as well as 10% off treatments at FixMP. We are also very lucky to have Intersport Shepparton offering 10% full priced shoes and apparel. And last is a complimentary 2019 Membership Key Ring, but hurry as these are limited supply. 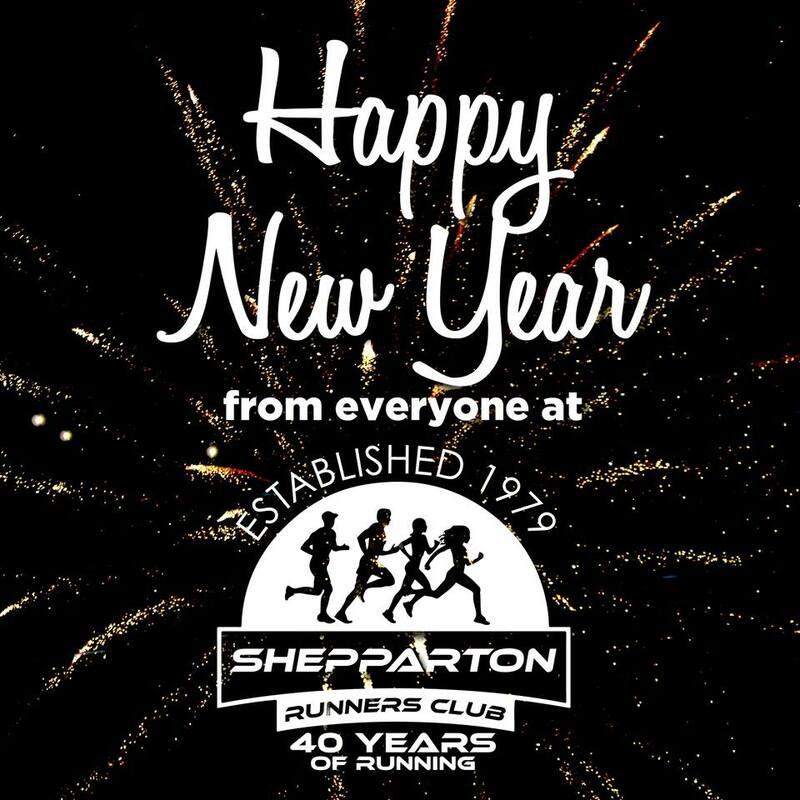 Registering is simple, head over to sheppartonrunnersclub.com.au/join-us/ and click on the 2019 membership portal button. For those registering as a family, there is a cheat sheet attached. SRC have a team for the Wang Marathon. Runners just need to pick SRC when entering. If they have already entered and want to be added to the team they can let me know. The Riverina Trails and Murray Running Festival website received a complete rebuild before Christmas, some of you may have noticed. This should be a more modern, easy to navigate platform. Enjoy! 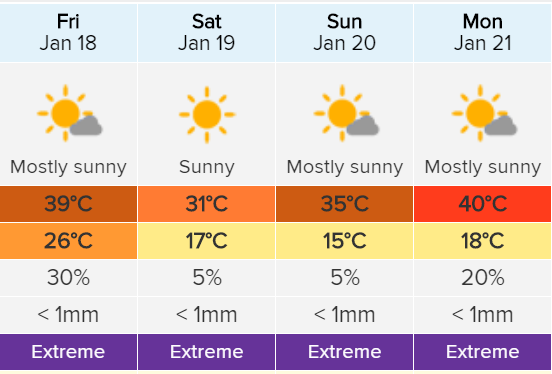 Please take care throughout the heatwave this week, be aware of the signs of heat-related illness, drink plenty of water and seek help for those affected.